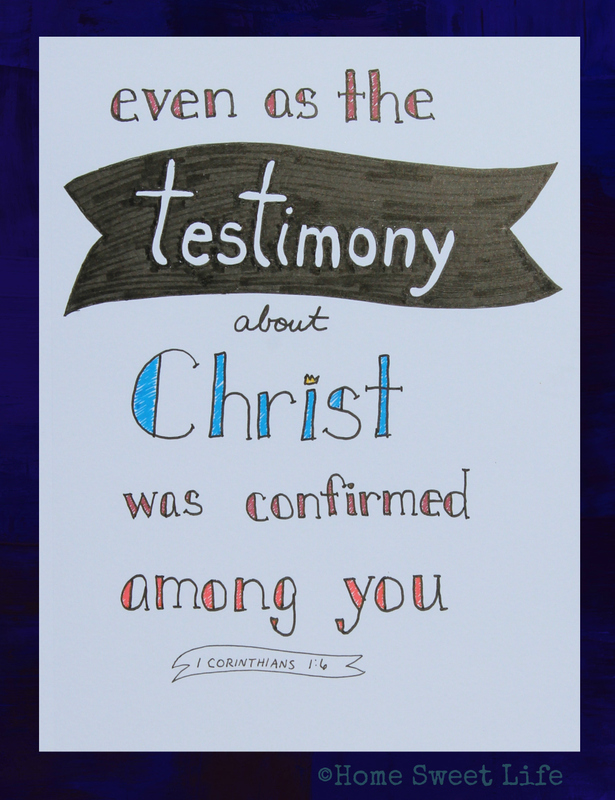 -what is the testimony of Christ? What one thing do you most wish to convey about Jesus to others? What has Jesus done on your life? These are the things that make up the testimony of Christ. Not just His death and resurrection - although those are vitally important - but also what He continues to do in our lives today. Start with what He did on the cross, and tell about how it has changed your own life. My testimony is this: I was a sinful, selfish person, then Jesus forgave me and saved me from myself. I am changed. I am loved, and my desire is to share that message of forgiveness with the world. -how is a testimony confirmed? By two or three witnesses. The testimony about Christ changing the hearts of the Corinthians was confirmed by their outward behavior that showed the inward changes. They were far from perfect, but God was at work in them. How has Jesus changed you? Do people notice the differences? If you were charged with being a Christian, would there be enough evidence to convict you? Do people see love, grace, mercy, and forgiveness coming from your words and your life? I pray that our lives would show the evidence of the change Christ has wrought in our hearts. That our testimony would bring glory to God, as we tell others about His love.